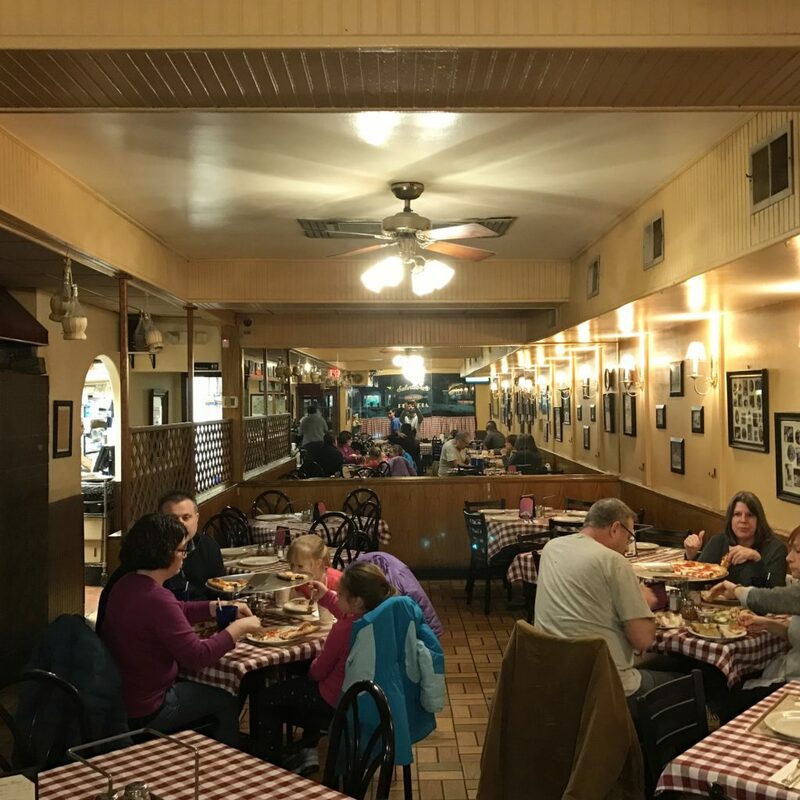 Summary : This Long Island pizzeria serves traditional coal fired pies in a family friendly spot located in the town of Port Jefferson. 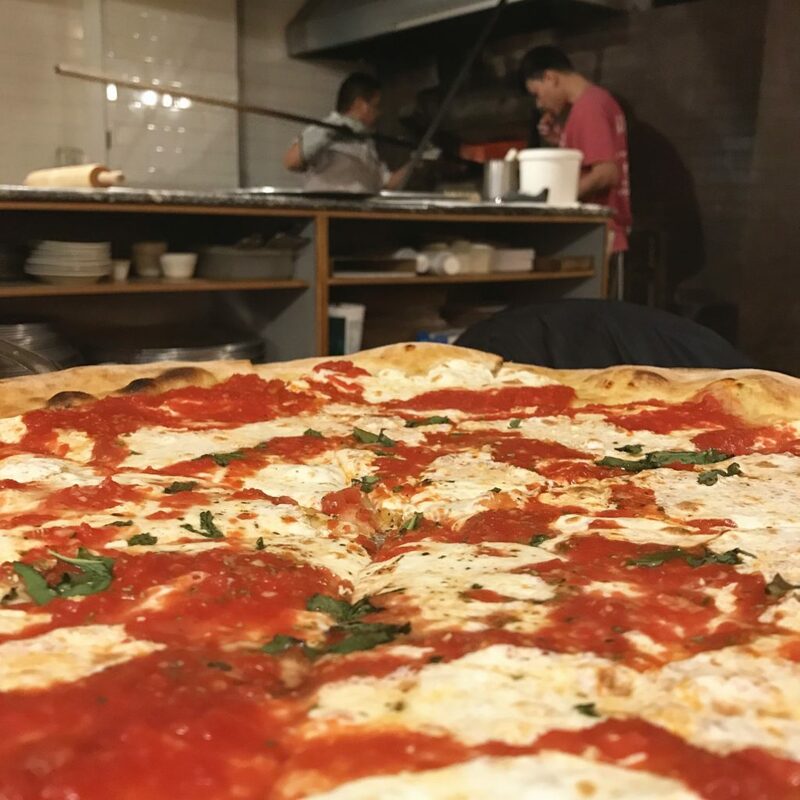 From time to time I’m asked by people who live on Long Island — or who might be spending a summer weekend in the Hamptons or Fire Island — where to find the best pizza out there. 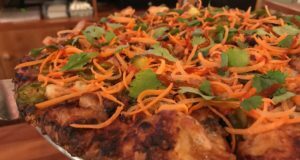 While I’ve reviewed pizza halfway around the world in China, Israel, Vietnam, and Japan, I Dream Of Pizza has lacked a proper review of any pizza spots on Long Island. Today, that changes. 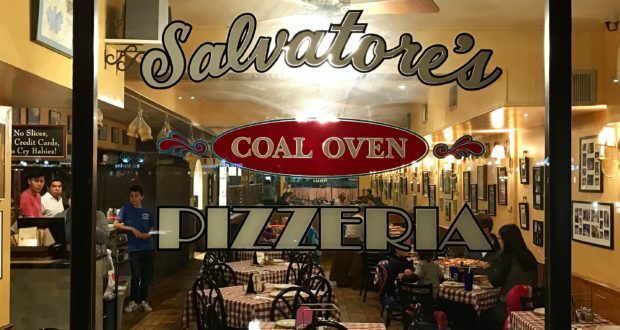 I recently made the trip out to Port Washington (not, to be confused with Port Jefferson) to check out Salvatore’s (124 Shore Road), a coal fired pizza place that has been around for about 20 years. A few things to note about getting there. First off, you’ll really need a car. It’s about an hour drive from midtown Manhattan without traffic. It is possible to get there via public transportation, but that requires a 45 minute train ride to the Port Washington LIRR station where you can transfer to a bus that will drop you off right in front (you can also walk from the train station, but it’s 30 minute walk). Although the restaurant opened in 1996, it looks like it could have opened in 1969. It has that old school feeling to it, with red checkered table cloths and a cash-only policy. Oh, and they don’t serve slices either. 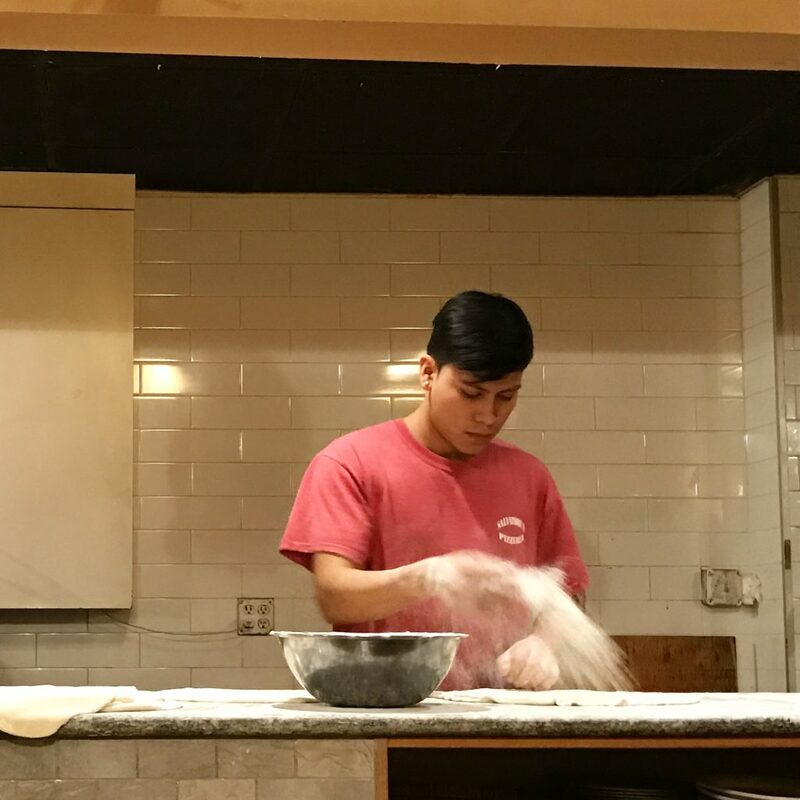 The restaurant offers two styles of pies: (1) Homemade Fresh Mozzarella, Crushed Plum Tomato, and Basil; and (2) Fresh Mozzarella, Garlic, Grated Cheese, and Basil. A small pie (6 slices) will cost you $17.25 and a large pie (8 slices) will cost you $19.25. Given that price break, always go for the large. My wife and I opted for the red pie. There are 17 toppings you can add to your pie — ranging from grilled chicken to anchovies — but we opted to keep things simple. 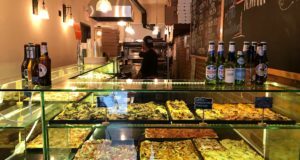 Salvatore’s also offers six pasta, five subs, and some salads and appetizers. 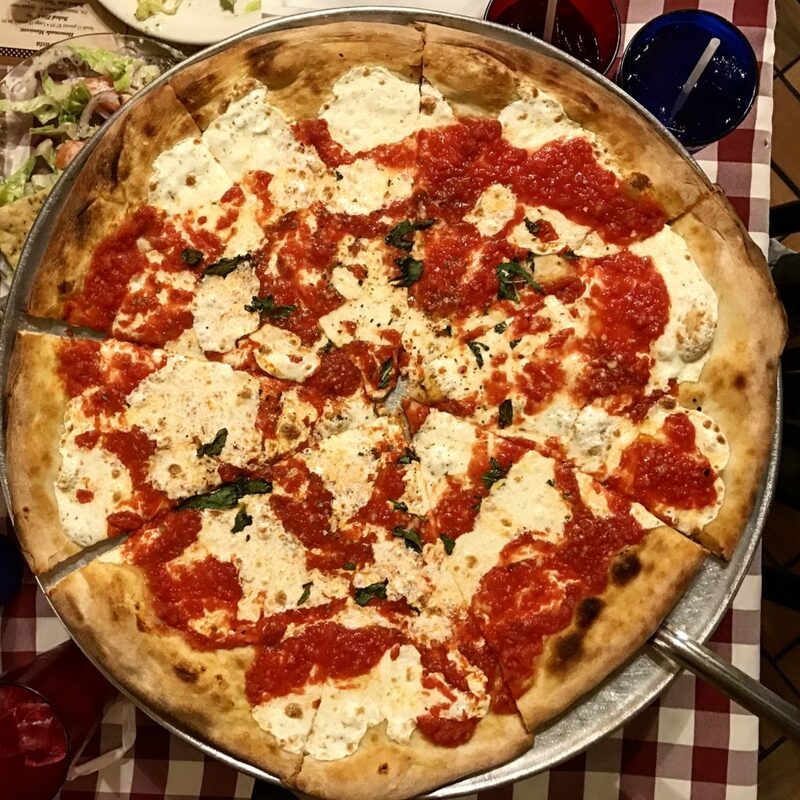 If you’re really hungry, two people might be able to finish a large pie, but likely you’ll have a slice or two left over. I’d recommend coming here with a group of four. That way you can try both pies and maybe split a pasta or salad too. 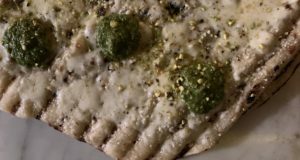 The pizza itself is pretty good. It’s reminiscent of the pies you’ll find at Lombardi’s, Grimaldi’s or Juliana’s… just without the hour long lines. It’s not worth the trek from Manhattan. But if you live in Port Washington — or are passing by — it’s a good local options. 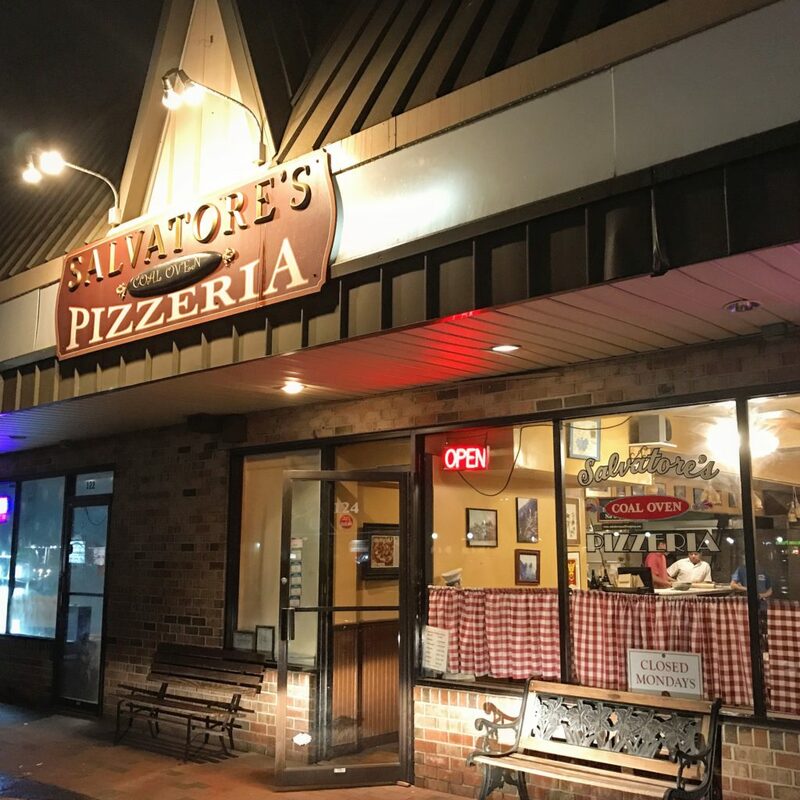 If there was a spot like Salvatore’s near my hometown in suburban Maryland, it definitely would have been my go-to pizza place when I was growing up.